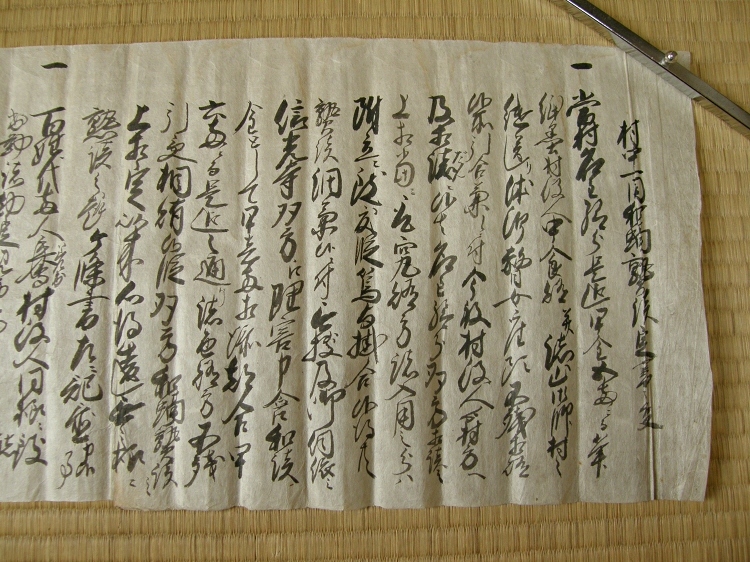 These 3 letters are all written at the Shinko-Ji Temple in Hgashimuki village of Sutama Town in Kai Province (=Now Yamanashi Prefecture). 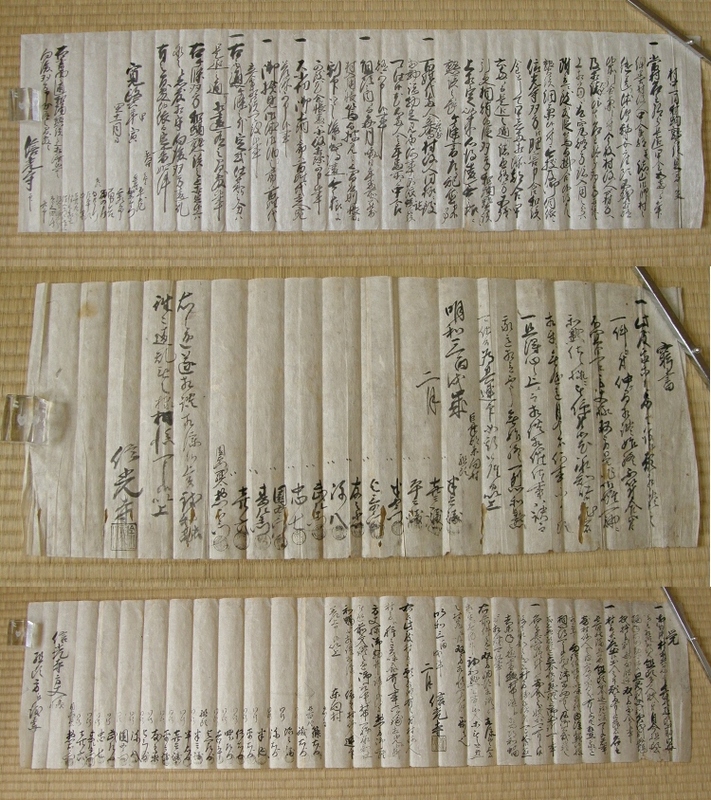 These seem to be letters of consent among the village farmers regarding the Buddhistic rituals. 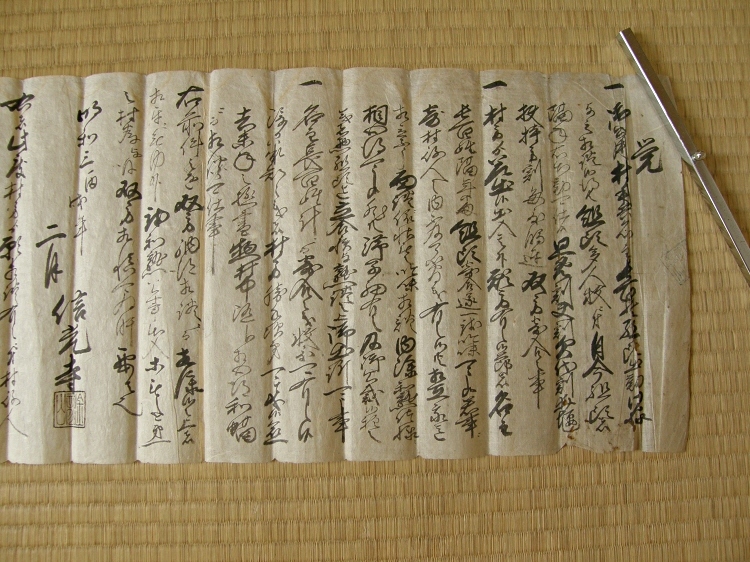 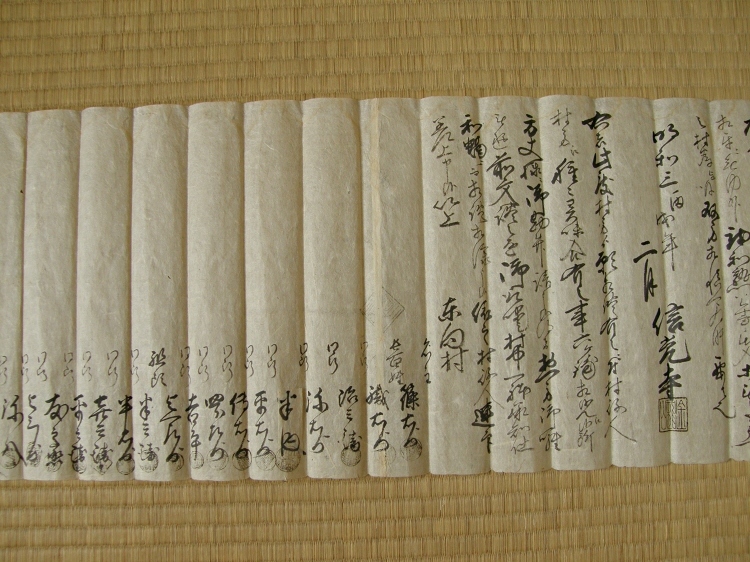 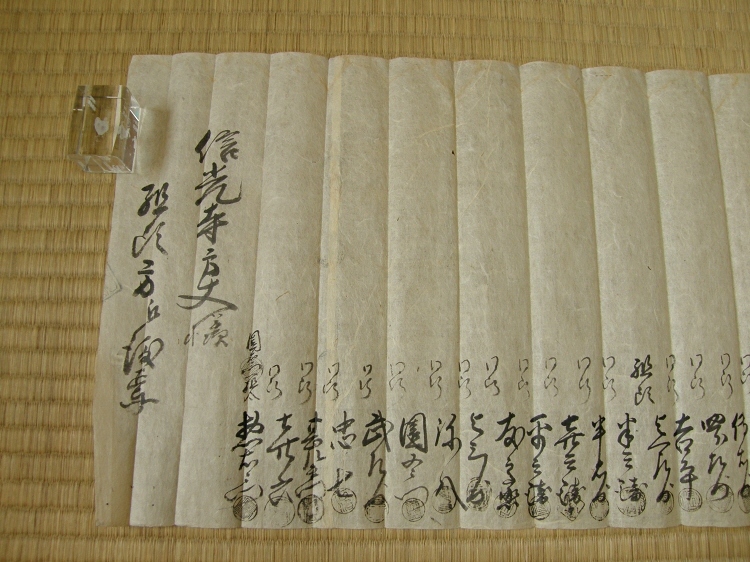 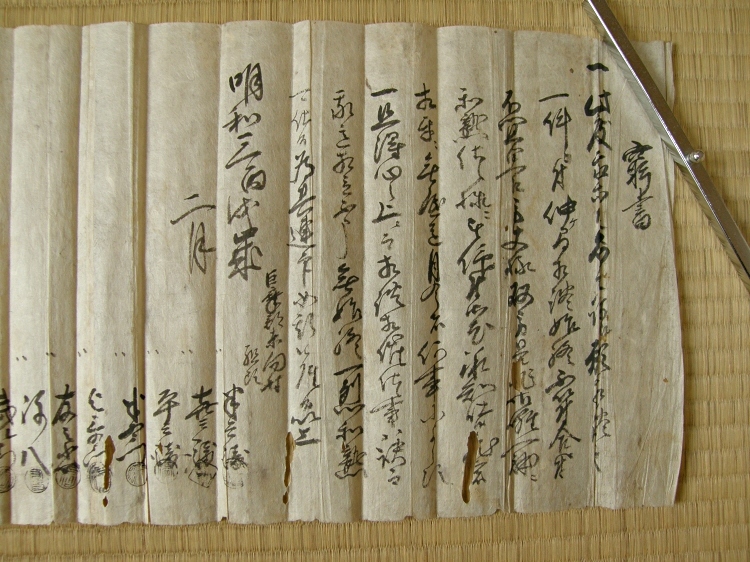 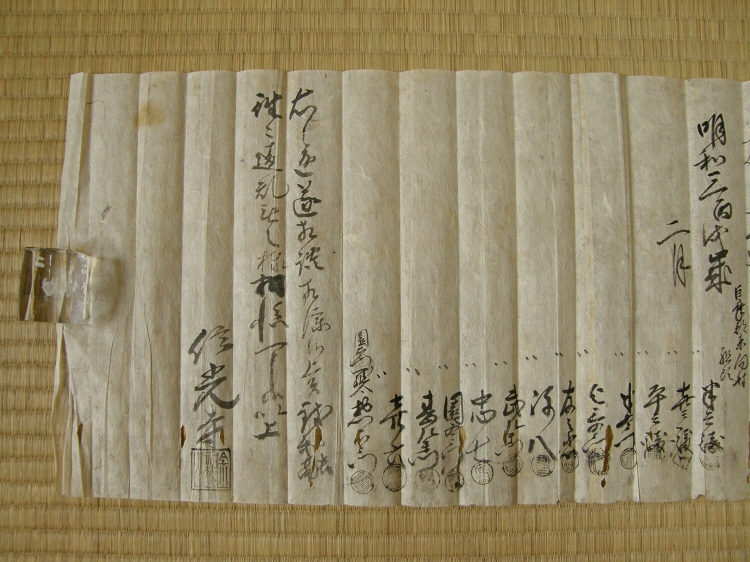 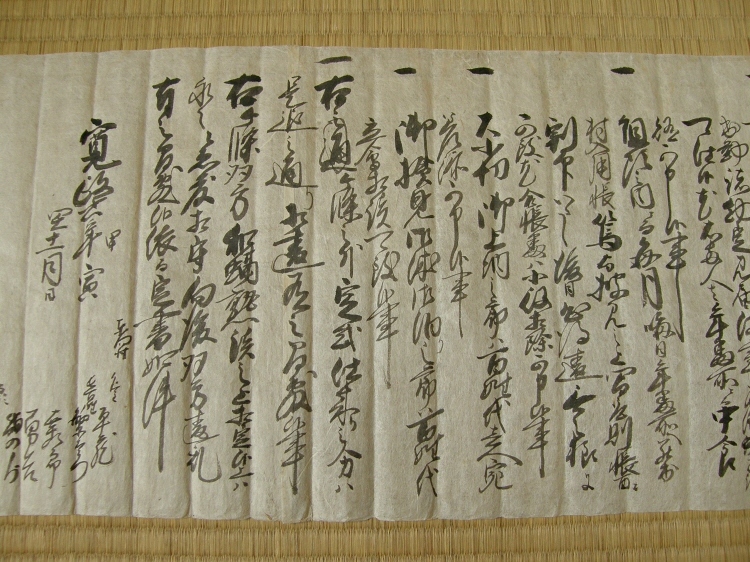 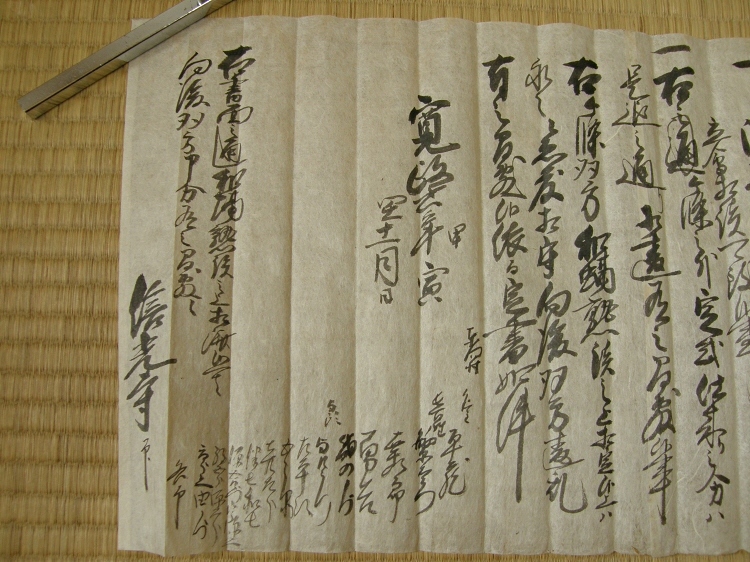 There are signatures and seals of village executives.